"They call me Hermione Granger"
Cristina, from Moldova, is a PhD student in Sustainable Rural Development in the Tropics and Subtropics at the University of Life Sciences in Prague, Czech Republic. She is currently researching the lack of young labour in agriculture in the Ukraine. In the Czech Republic, she is a voting member for GREENPEACE and a YPARD country representative for Moldova. 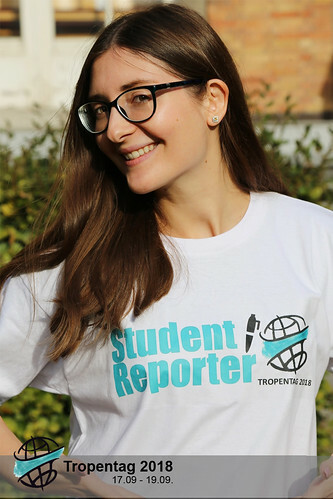 Cristina believes that attending Tropentag as a Student Reporter can give her a valuable experience and she can give an excellent feedback of her work and involvement. Cristina is in charge of taking interviews in the Student Reporter team.